FlashForward debuts in the UK tonight on FIVE at 9pm. The Radio Times says: "FlashForward is baffling at first, then quickly becomes bold and thrilling, with some rattlingly good set pieces and a post-apocalyptic plot that barely pauses for breath. This new US series is being spoken of in the same breath as Lost, and it's easy to see why. There's a tremendous opening sequence that's reminiscent of Lost's first few shattering moments, before the sci-fi/supernatural elements kick in. British actor Joseph Fiennes, with a smart American accent, is the muscular action hero, FBI agent Mark Benford who, simultaneously with the rest of the world, loses consciousness for two minutes. 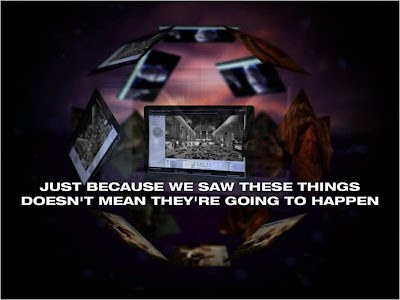 In those missing moments, everyone sees a glimpse of their future." FlashForward Facebook Connect starting to get personal! 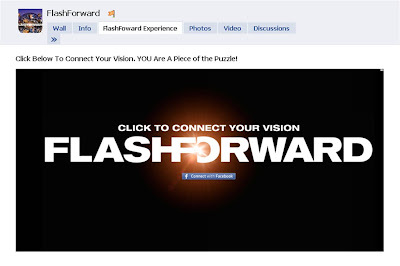 I have not included any screengrabs containing personal information or personal photos but hope the above gives some idea of what the FlashForward Facebook Connect experience is like - try it for yourself and let me know what you think in the comments below! *Note: The main FlashForward Facebook Fan Page could spoil viewing enjoyment if you go before you have seen the first episode. FlashForward launched in the US last week so discussion is based around content that has yet to be seen in the UK. 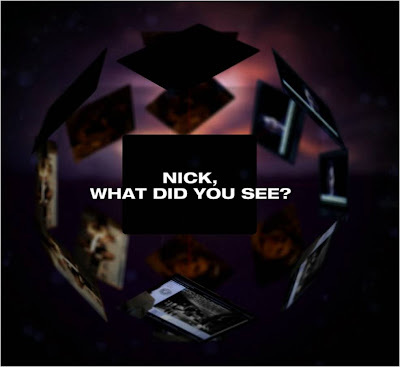 The same applies to the FlashForward Mosaic microsite here.